The First Date. It goes without saying how important a first date is, it’s that crucial opportunity to show someone who you really are. Deciding on what to wear for a date can be as exciting - or nerve-racking - as the date itself. So whether you're setting out on an exciting first date or celebrating a seriously romantic occasion, we’ve got the look that you need. Scroll to find your perfect outfit! Every girl can relate to the what-do-i-wear dilemma and we can also relate to it being an end-of-the-world situation when it comes to first dates. For your first date you don't want to overwhelm your company, and you're also going to need something comfortable - to tackle those nerves. In that case the colour pink is the answer to your prayers. It has a calming effect on the mind and eye. Pink, in all it's hues is the one colour that could never be too much. Planning to wear a pink outfit for your first date? 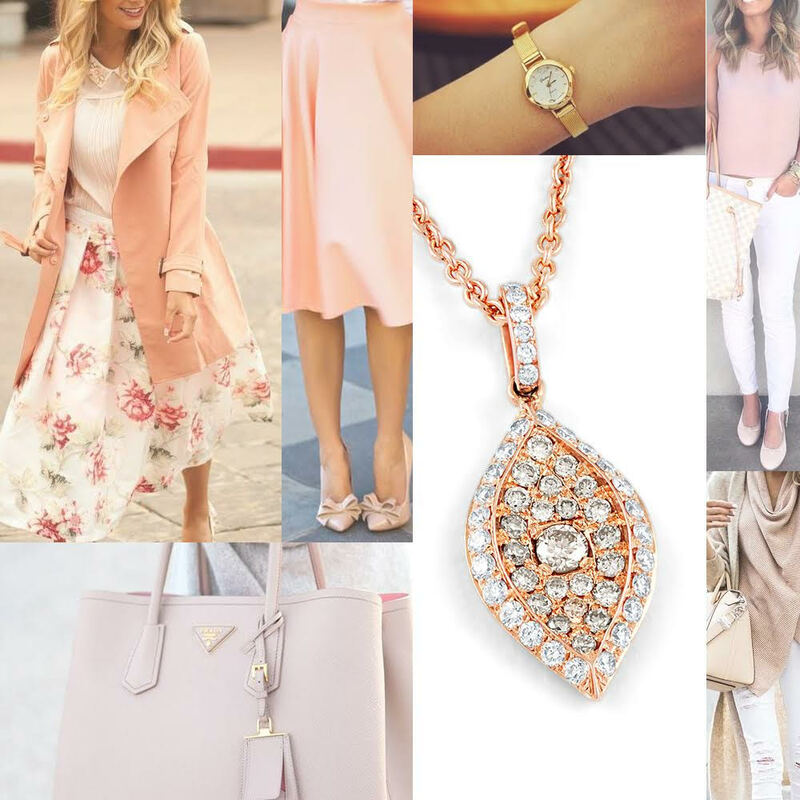 Complete your look with this breathtaking diamond pendant. For those lucky ladies who are in for a surprise date, choosing the outfit can be a bit more tricky than usual. Tricky we said, not impossible. If you're unsure on where you're heading for the first date, we suggest a blue palette for your outfit. Blue is one of the few colours that can be playful, smart, fun and serious. So whether you end up at the beach, cafe or restaurant a blue outfit will do the magic. 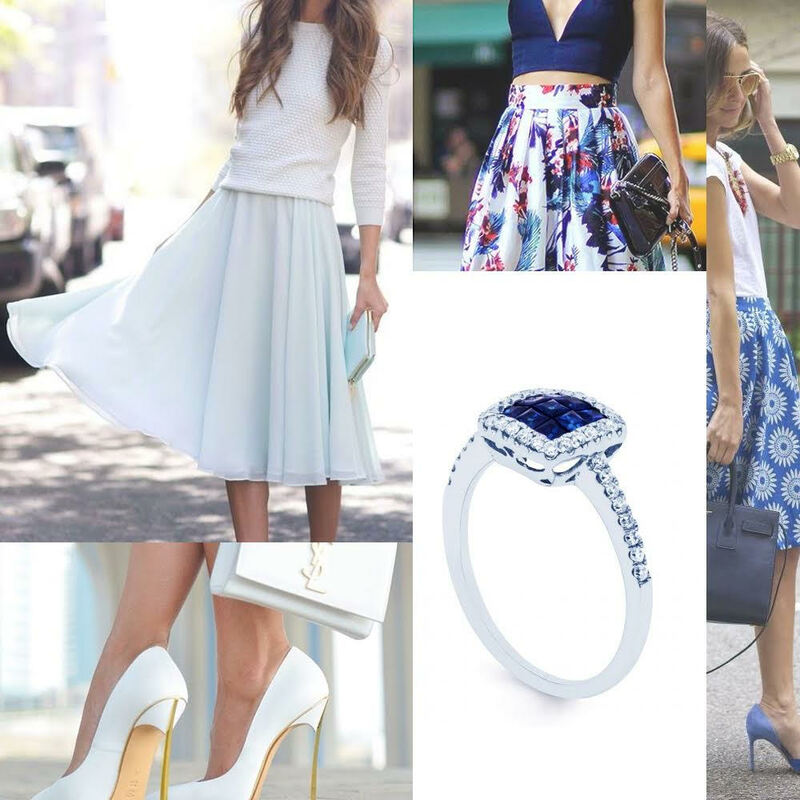 Add a touch of glamour to your blue ensemble with this eye catching blue sapphire ring. Heading to a fine dining restaurant on your first date? That's great news! It means choosing the outfit just became a lot simpler. When it comes to fine dining or a black tie event, there's only one rule to follow - go for the classic. The epitome of classic? A good old black dress. 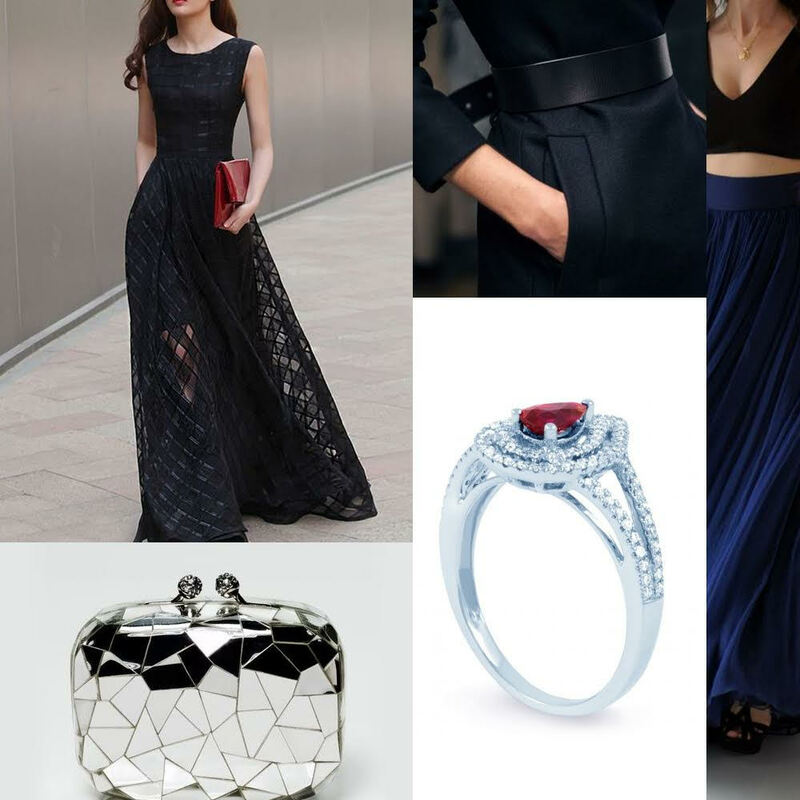 Whether you opt for the trusty LBD or go for the gown, you can't go wrong with black. It's a timeless and elegant fashion that suits every skin tone and every event. Sprinkle a touch of colour to your attire with this sparkling ruby ring.